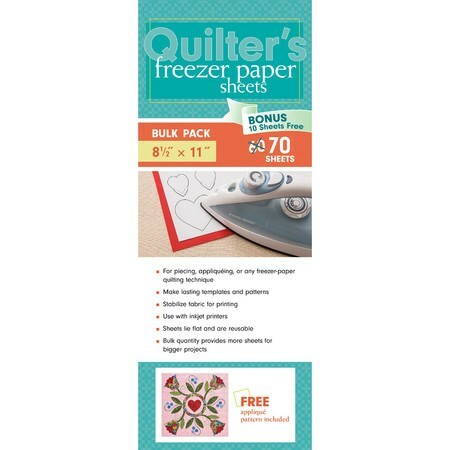 Quilter's Freezer Paper Sheets (70pk), 8-1/2"x 11"
Print directly on your fabric with Quilter's freezer paper sheets. This sturdy freezer paper lays flat, stabilizing fabric, making it easy to print on with an inkjet printer. Ideal for quilting, crafting, and applique. This reusable paper can be used to print patterns and design templates. Free applique pattern included. Customer Reviews for the Quilter's Freezer Paper Sheets (70pk), 8-1/2"x 11"